RUSSELLVILLE, Alabama – Farmers Home Furniture announced plans today to invest $10 million in a new distribution center in northwest Alabama, creating up to 80 jobs and strengthening its expanding retail presence in the Southeast. At a media briefing in Franklin County today, Farmers outlined plans for the hub, which will be located in a 325,000-square-foot facility in the Russellville Industrial Park. Farmers, founded in Soperton, Georgia, in 1949 by Sherwin Glass, is one of the Top 100 furniture companies in the United States. Farmers operates 198 stores with more than 2,000 employees in Georgia, South Carolina, North Carolina, Alabama, Florida and most recently Tennessee. Officials said locating the new distribution center in Russellville means Farmers is perfectly positioned to serve its north Alabama and new Tennessee locations, as well as move forward with its long-term growth plans. The company now operates a distribution center in Dublin, Georgia. 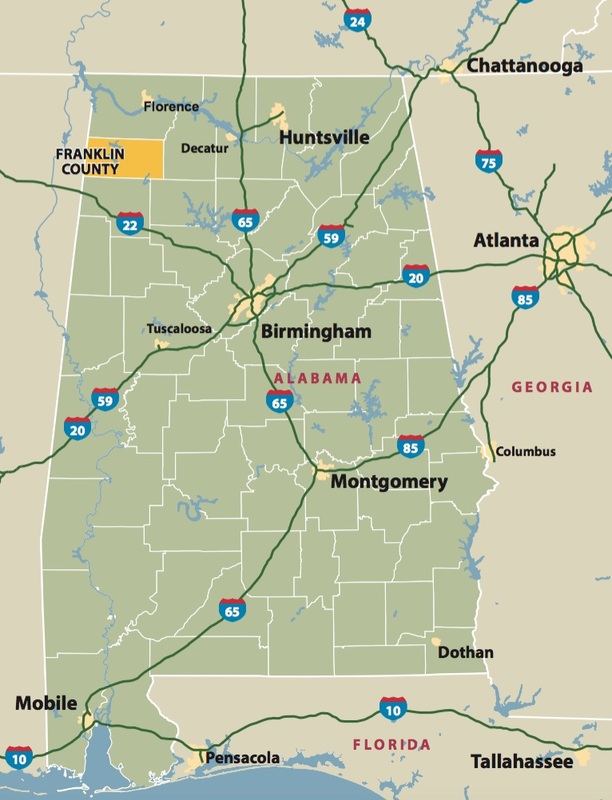 After a multi-state search for distribution center space, Farmers said it determined that Franklin County was the best fit for its expansion purposes due to the availability of skilled workers and the support of the City of Russellville, the Alabama Department of Commerce, and the Franklin County Development Authority. Local economic development and city officials say Franklin County will benefit from the Farmers distribution center. Since 2012, Franklin County has had five new company announcements and seven industry expansions totaling $97.8 million in capital investment and 1,105 new jobs, according to the Franklin County Development Authority. 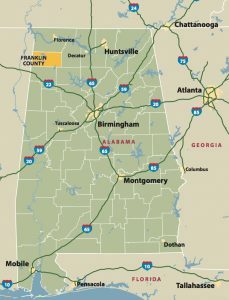 “Companies that locate in Franklin County, Alabama, always have successful endeavors. Farmers will be a great corporate citizen in Franklin County, and the new jobs they create will have a lasting impact on our community,” said Mitch Mays, executive director of the authority.